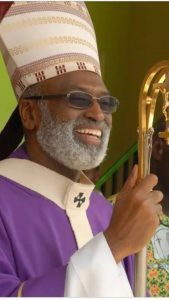 The Metropolitan Archbishop of Cape Coast, Most Rev. Gabriel Charles Palmer Buckle has ended a three-day pastoral visit to the cradle of the Catholic faith in Ghana, St. Joseph Minor Basilica, Elmina with a call on Christians to remain steadfast in all their Christian life. The Archbishop who was given a rousing welcome by the parishioners, was full of praise for the faithful whose forefathers and mothers accepted the Catholic faith in Ghana for the first time and have kept same till now. 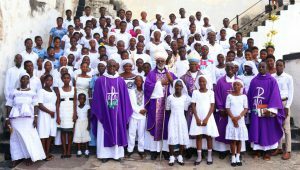 The occasion was also used to administer the Sacrament of Confirmation on 174 candidates.